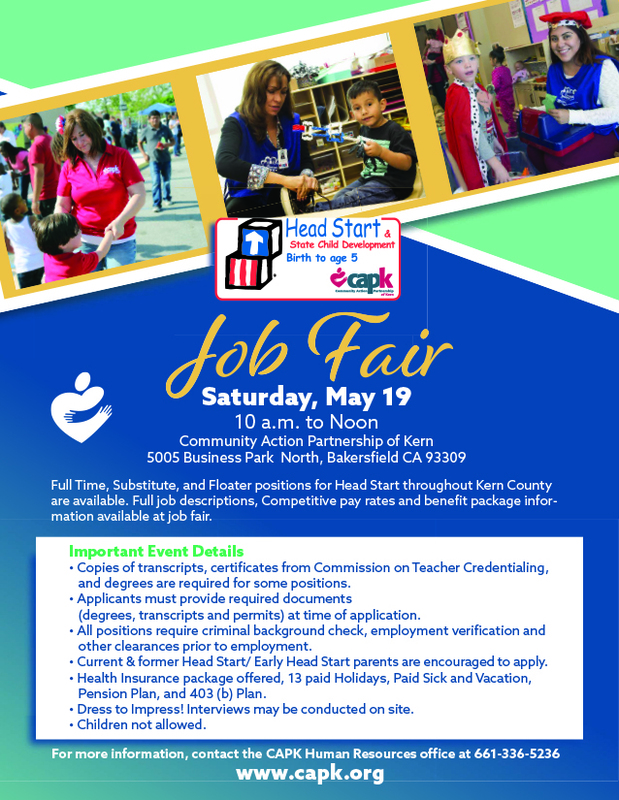 The Head Start Job Fair is on Saturday, May 19! You can make a big difference for a small child! Full Time, Substitute, and Floater positions for Head Start throughout Kern County are available. Learn more at the Head Start Job Fair on Saturday, May 19 from 10 a.m. to noon at the Community Action Partnership of Kern Main Office: 5005 Business Park North, Bakersfield, CA 93309. Download a flyer here.